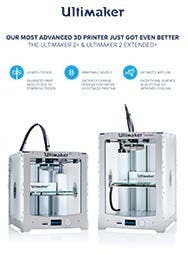 Fast: With a build speed up to 24 mm3/s, the Ultimaker 2 Extended+ is fast. Print tall models without sacrificing quality. 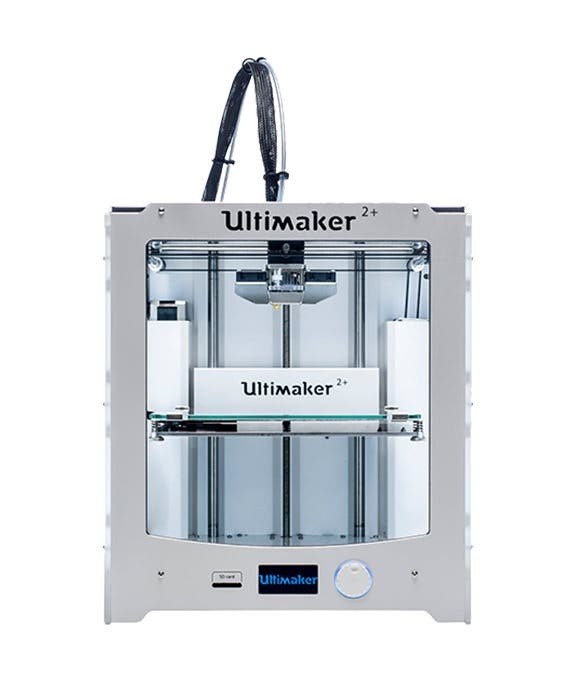 The Ultimaker 2 Extended+ is the latest 3D printer from Ultimaker, new for 2016. 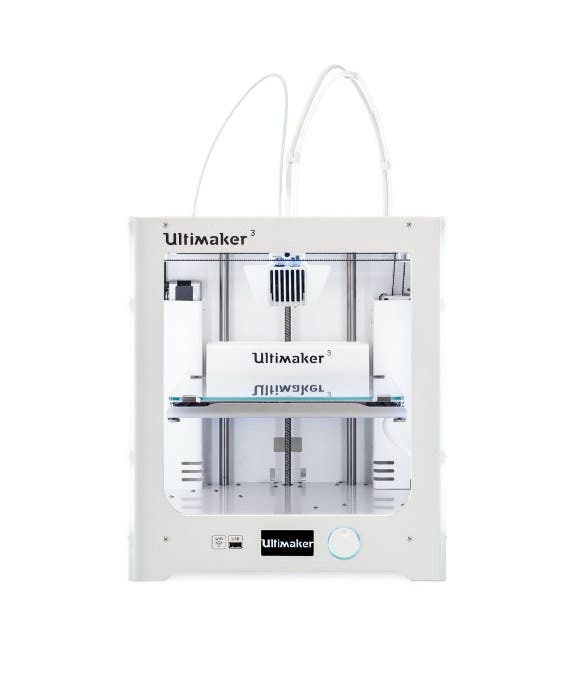 Designed for makers who value build volume and accuracy, the Ultimaker 2 Extended+ is the ideal 3D printer for educational, professional and engineering and design environments. 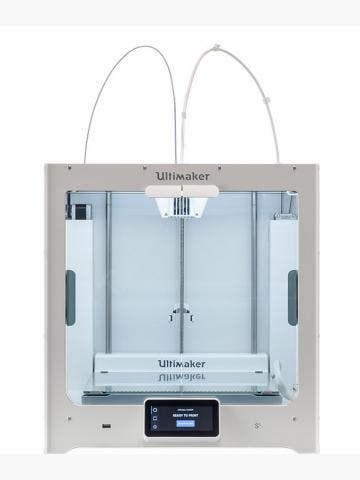 Offering a roomy 223 × 223 × 305 mm build volume (that’s 100mm taller than the Ultimaker 2+) and a layer resolution up to 20 micron, the Extended+ is one of the best 3D printers on the market. You will enjoy quickly and easily sending your designs to print, using Ultimaker's award-winning print preparation software, Cura, and watching your designs come to life through the large observation windows. Power and control; the two go hand-in-hand. 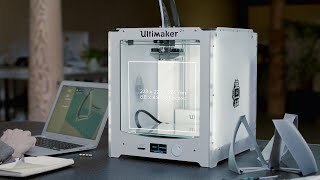 With the Ultimaker 2 Extended+, you get power and control, with a range of new features that put the power of the Extended 2+ in your hands. 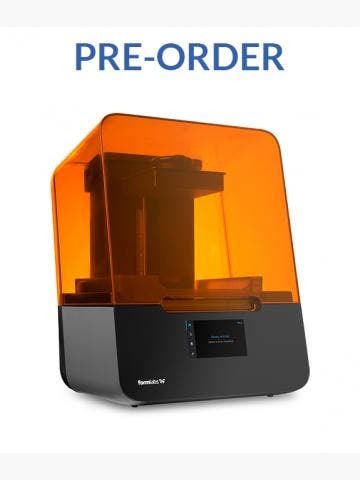 Those new features include a unique geared feeder system that lets you quickly and easily swap filaments and change filament pressure, a swappable nozzle system that lets you switch between 0.25, 0.4, 0.6 and 0.8 mm nozzles for greater control over print quality and speed, and a new airflow system that improves print consistency. 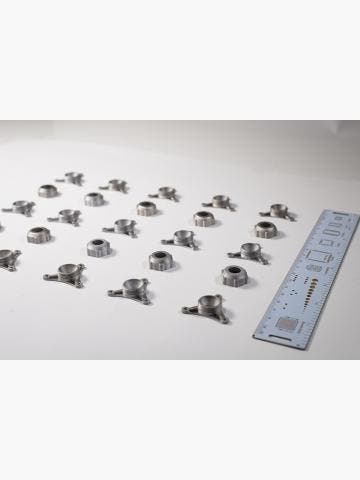 Here are some of the common questions we get for Ultimaker 2 Extended+, if you have any more questions, please don't hesitate to email web@goprint3d.co.uk or phone 01765 540 115. Can it print with flexible filament? 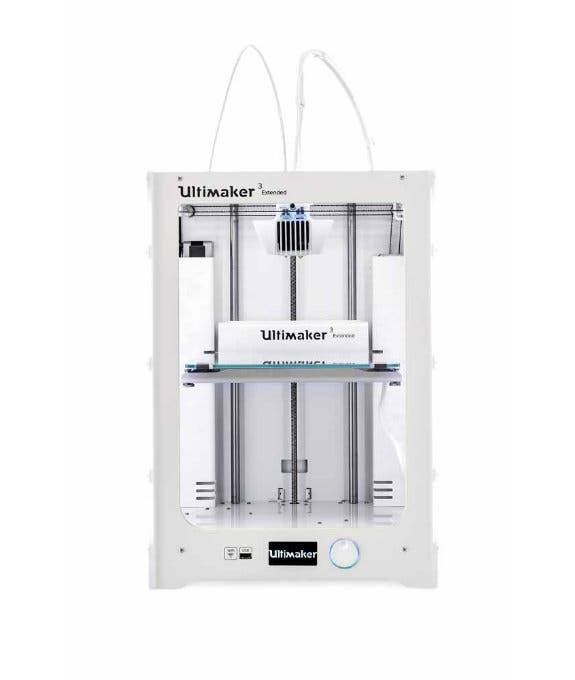 The Ultimaker 2+ has a new geared feeder system, which is far superior to the old system on the Ultimaker 2. As a result, printing in flexible filament is far easier.